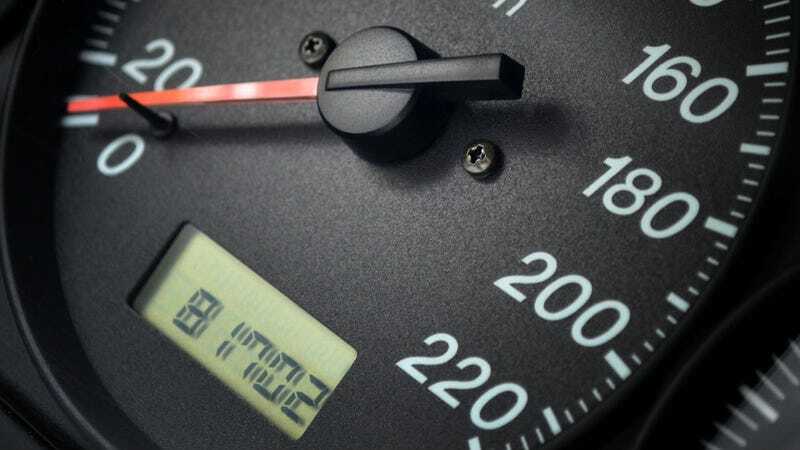 A San Jose couple that owns a used car dealership in the Bay Area is facing 80 charges, in what the California DMV is calling the state's "largest odometer tampering case that we've found involving an actual licensed automobile dealer." ...20 counts of unlawfully rolling back a car odometer, more than a dozen counts of grand theft by false pretenses, a dozen counts of attempting to file a false or forged instrument with the DMV, a dozen perjury counts and 10 counts of attempted grand theft of personal property, according to a complaint filed Wednesday. The investigation started back in April, when a customer purchased a vehicle and found out through her mechanic that the car had twice as much mileage as on the odometer. Investigators obtained a search warrant, and discovered that 13 cars on the lot had much lower mileage than the vehicles' recorded mileage when the cars were sold at auction just weeks earlier. As investigators dug deeper, they revealed that the Guevaras had rolled back odometers on over 100 vehicles in the past several years. According to the court complaint, George Guevara would buy used cars at auctions, then replace the vehicles' odometers with those with low mileages purchased from junkyards and other local businesses. Investigators say that Guevara would use specialized software to "hack" the cars computer system and change the mileage. On Tuesday, both George and his wife turned themselves in to authorities and were booked into county jail. George Guevara is being held on $1 million bail; his wife was released from jail. The couple is scheduled to be in court for arraignment next week. This is why it is crucial, whenever you buy a used car, to get it inspected by an independent mechanic to check for excessive wear and warning signs that the vehicle may have been tampered with. Beware of dealers that are not willing to grant you an opportunity to obtain an independent inspection.